Property for Life is an essential guide to the property and finance decisions that Australian homebuyers and investors face throughout the various ages and stages of their lives. Property for Life is the story of Jim and Jane and their property decisions. The book follows them as they buy their first property, have a family, upgrade to a new home, buy an investment property, downsize to a lower maintenance home when their children leave the nest and finally use property as a source of income in their retirement years. As Jim and Jane reach the various property milestones in their lives, the investing principles and general property and financial options available and the pros and cons of these are covered. 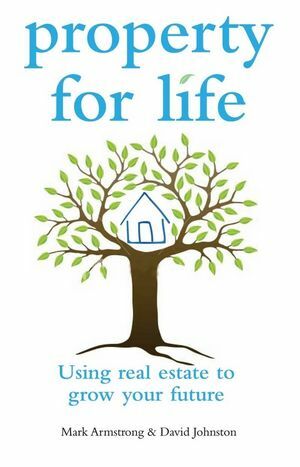 Through Jim and Jane's story, Property for Life brings a human dimension to property investing that other books lack. Regardless of whether you are part of a couple, or what age and stage you are at in your life, all readers will be able to identify with Jim and Jane's situation and draw knowledge for their own property investing journey. Mark Armstrong and David Johnston are Directors of Property Planning Australia, a company that develops property, finance and financial planning strategies for local, interstate and overseas clients. They are prominent and respected commentators on property and finance issues, with regular appearances in The Age, Sunday Age, Australian Property Investor magazine and Your Mortgage magazine. Mark and David also work in partnership with Victoria University, lecturing on the principles of property investment. Mark holds a Bachelor of Business (Accounting) from RMIT University, is a Certifi ed Practising Accountant and member of the Real Estate Institute of Victoria. He lives in Melbourne with his wife Libby and three children Jack, Ben and Emily. David holds a Bachelor of Applied Science from Deakin University, is an accredited member of the Mortgage and Finance Association of Australia and also sits on the Association's Victorian State Brokers Committee. He grew up in country Victoria and came to Melbourne 15 years ago to pursue education, sporting and business endeavours. Fiona Marsden is a professional writer with extensive experience in property and fi nancial services. She has contributed to several books and written articles for The Age, Sunday Age and Australian Property Investor magazine.